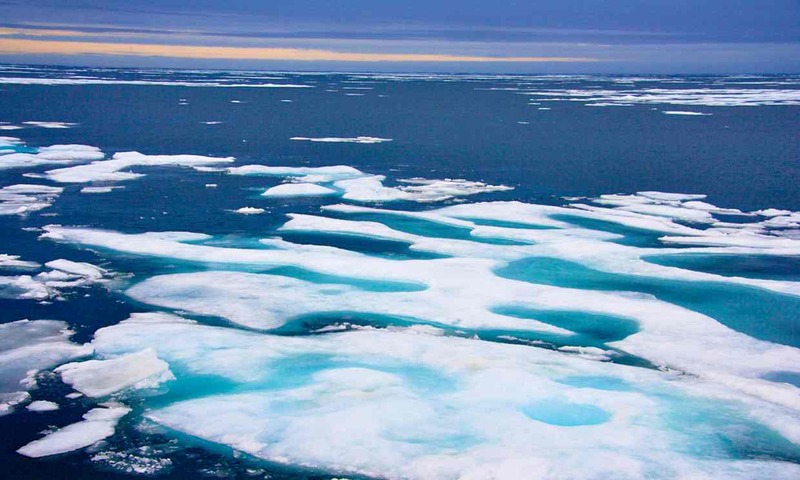 A scientific paper published in Science revealed the average American creates enough carbon emissions to melt 500 square feet of Arctic Sea ice annually. 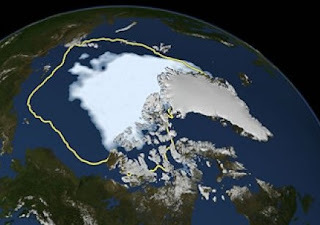 The scientists compared anthropogenic greenhouse gas emissions with yearly September sea ice totals from 1968 to 2000 and found a strong linear relationship between the two. The resulting equation shows a loss of 33 square feet of sea ice for every metric ton of carbon dioxide going into our atmosphere. 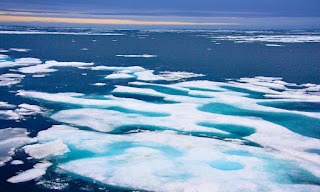 Leading oceanographers believe computer models underestimate sea loss in the Arctic Ocean, and believe of 2045 is a more realistic project for total ice loss. Click to Read More. The residents and visitors to Baffin Island have heard of a pinging sound coming from the Fury and Hecla Straits. Area hunters are claiming the sounds are driving away whales, seals, and other marine life. The mysterious beeping sounds seem to be emanating from the ocean floor. The Canadian Department of National Defense used high-tech sensors to investigate, but discovered no definite evidence of the sounds. Click to Read More. Biology Letters recently published a new study completed by the Woods Hole Oceanographic Institute. 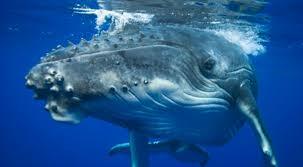 Scientists studied the communication of humpback whales along the coast of Maui. Humpback whales are well known for their songlike communication, consisting of drawn out, mournful melodies. Researchers analyzed two distinct elements of the whale song, pressure waves and particle motion, to determine whether whales can sense particle motion. Scientists are concerned that human induced ocean sounds could disrupt whale communication and resulting interaction. Click to Read More. 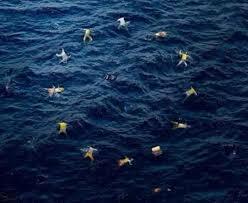 The European Commission issued a press release this week focused on three key areas of international ocean governance. The European Union assessed the economic value of the world’s oceans as approximately €1.3 trillion and is taking the lead on gathering international cooperation for sustainable ocean management. Fourteen actions are being proposed to improve the framework of existing ocean regulations, reduce the pressures of human induced climate change impact, and increase scientific ocean research and data. Click to Read More. A study published in Science Advances explains why so many seabirds are confusing ocean plastic pollution as a food source. Normally, seabirds use the chemical compound produced by algae, dimethylsulfide (DMS), as a signal for a potential food source. 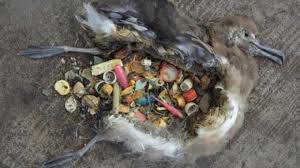 However, this mutualistic interaction does not benefit seabird species when ocean plastic is the cause of algae accumulation, causing the birds to consume deadly plastic. Click to Read More. Researchers have recently determined that the Indian Ocean, Agulhas Current, is growing wider in response to global climate change. 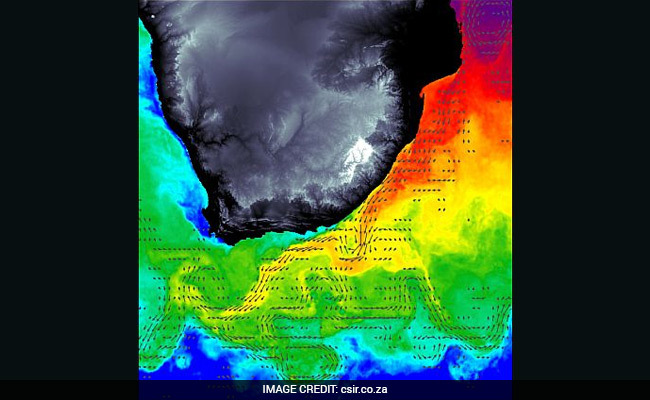 The Agulhas Current is one of the strongest currents on the planet and has a significant impact on global climate patterns. Scientists believe the widening of the current is causing regional wind intensity to become stronger, increasing the turbulence of the current. Data collected during the study show the western boundary current areas warming three times faster than the mean international rate. Click to Read More.